With Beocord VHS 91.2 Bang & Olufsen created a stereo video tape recorder which, in 1987, was close to studio equipment in terms of sound and picture quality. And when it came to design, operation and uses it was a natural, integrated part of home entertainment and communication. Beocord VHS91.2 could record up to four hours of video or eight hours of stereo hi-fi sound on just the one four-hour tape. And it could of course be remote-controlled regardless of which Bang & Olufsen TV and music system you put it to work with. The many picture functions included such things as distortion-free single frame pictures, play back just one picture at a time, 'flickerless' breaks between recordings and automatic picture search with the help of the tape counter. And Beocord VHS91.2 could also be programmed to record daily or weekly for an unlimited period of time. 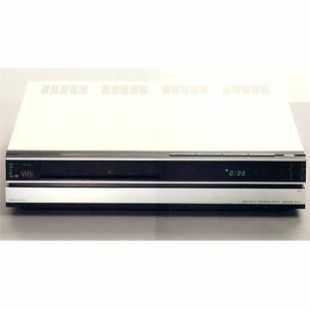 With a completely new recording technique and one built-in stereo decoder, Beocord VHS 91.2 provided unlimited possibilities for combining TV, video and music systems, such as recording stereo simulcasts. In terms of design, colours and uses, Beocord VHS 91.2 was created to harmonise with Beovision MX2000. And the same remote control Terminal could be used to control both units.